When we talk about the productivity of your office, then a number of things or factors can affect the same and wall colours can be one of those things. If you wisely do the painting in your office, then you can give a new and amazing look to it that could be very productive as well. However, many times you do not get the optimum result because you do not know those things that you should do for painting your office. Here, I am going to give 8 painting ideas for office in 2016 and if you follow those tips, then it can give an amazing result to you for sure. Choose the colour as per your work: This is a scientific fact that colours can affect your behaviour and your productivity as well. For better productivity in your office, you should try painting it with a colour that matches with your work. For example, if you have any kind of work that require more of physical work, then red colour could be the best choice for you. At the other hand, if you do some kind of designing or creativity work, then yellow would be best for you. Blue is known as the most productive colour option and green is great for environment related offices. So, do some research and choose a colour that suit best for your work and do the painting accordingly. Compliment with extras: There could be a lot of things that you can use as extra for complimenting your office after painting it. 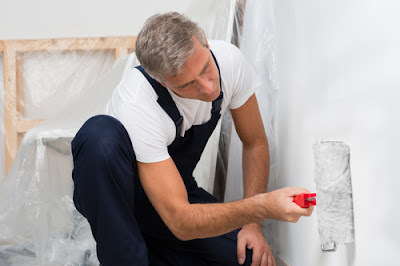 If you will do the painting on your walls without having any feel in it, then you will get dull feeling from it even if you choose the best colour. I am sure, you would not like to have such boring and dull environment in your office after painting and that is why some extras such as painting or stickers could do wonder for you. This extra complimenting will certainly give a depth to your office. Use paint that is not harmful: Many people do not know that paint can also harm the environment and your health as well. 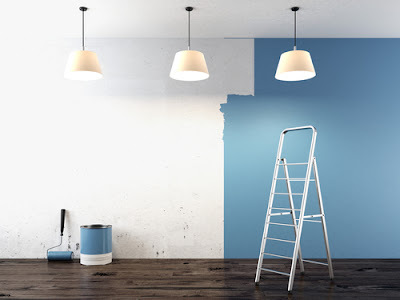 In 2016, it is advised that you make changes in the selecting of paint and you choose only a paint that is not harmful to environment or your health. When you will do the same in this painting process, then you will join the league of those people that invested their efforts, time and money in environment protection. Use the light: Proper use of natural light is another important thing that you should do for your office painting in 2016. When you will use the natural lighting in office, then it will help you reduce your electricity bill and you will be able to get a really amazing outcome with it. The best thing about this method is that there are so many colours that are bright, but reflect the light and you can get a good result for same with ease. Change your furniture: Indeed, furniture is not part of your office painting, but you should think about that as well. You don’t have to make a complete overhaul for your office furniture, but you should try to give a new look to same. If you have furniture that you can paint, then you should think about painting your furniture as well. This will certainly help you get a good look in your office with great ease. 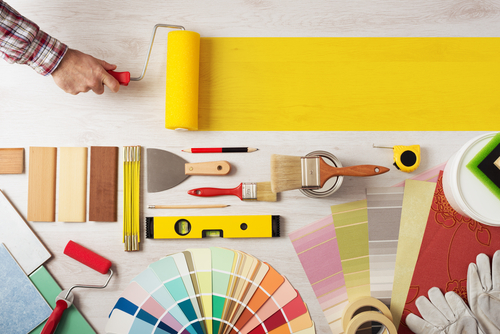 Have contrast: While painting your office, it is also advised that you use the contrast colour scheme. With contrast colour scheme, you will get the feeling of bigger space and even your smaller office look really good and big to you. That is one trick for same. Along with that, you can also try to add some images to the walls of your office along with painting. These images could be simple painting or you can simply frame some good scenes and you can display that on the walls. That will give a nice and firm look to your office and you will be able to get a more confident working environment as well for your loved ones. Try some wallpaper: Although, painting is the best thing for adding colours and themes in your office, but along with that you can also try some wallpaper to give a depth and feeling to yours walls. You don’t have to paste the wallpaper on every wall, but only one wall would be enough for same. When you will have good wallpaper on your office wall, then it will be a good thing for you and you are going to get better look easily. The best thing about this option is that you can try floral prints, pattern or other things and you can have this outcome without investing much money in it. Include your team members: If you really wish to get the best outcome for same, then it is advised that you include your team members in the planning of office painting. If you will not include them, then you might not get the best result with it. When you will have their opinion for same, then you will know what are the things that your team members want to see in the office. Also, they will tell you more about the colours or things that give negative feeling to them. As a result to that, they will be able to have a really good outcome and it will certainly be a great thing for you and your office productivity.